After making a successful landing on 67P/C-G, the Philae probe gathered as much data as it could before entering “sleep mode.” It’s not clear at this point whether it will revive again. While the ESA team had hoped Philae would have remained active longer, the lander did complete all of its major data gathering, so we can call this a win. 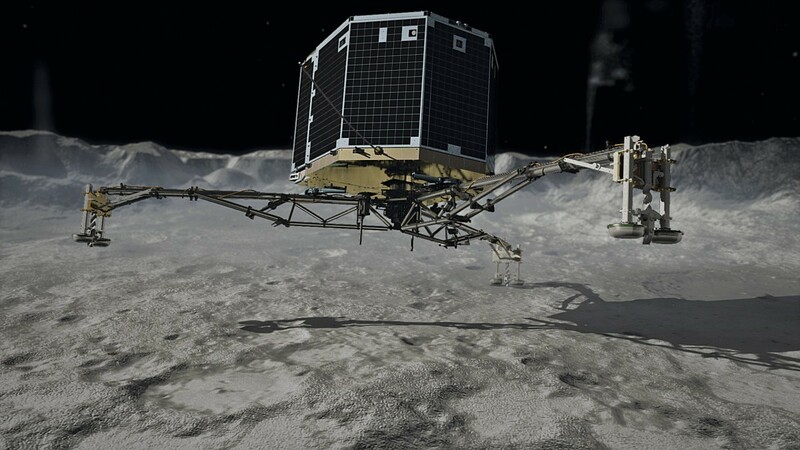 The reason Philae went into sleep mode is that it happened to land in the shadow of a cliff, which meant it wasn’t getting enough exposure to sunlight to keep its batteries charged. Like many spacecraft, Philae is solar powered. It needs light to keep going. Generating electric power from sunlight is done by photovoltaic cells, or solar cells. These work by using a process similar to the photoelectric effect. 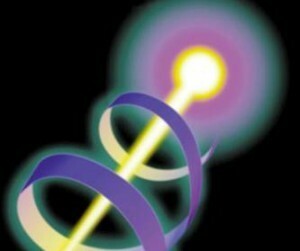 In the photoelectric effect, photons from the light kick electrons out of a metal, creating a net static charge within the metal. In photovoltaic cells, the electrons are aren’t knocked completely free of the material, but instead are kicked free of their atom into a region where they can flow easily through the material as a whole. Usually the material used for solar cells is silicon, because it is a semiconductor. 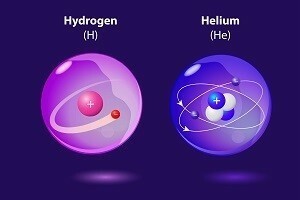 That means can sometimes act as a conductor where electrons can move freely through it, and sometimes act as an insulator that resists electron flow. This is important, because simply moving electrons into a conductive region isn’t enough to generate electric power. What makes silicon so useful is that you can mix it with small amounts of other elements (what we call doping) to create a material that has more free electrons than there are places for them to settle (known as n-type). With other doping elements you can make a material that has more places to settle than there are free electrons (known as p-type). By placing these two types of material next to each other you can create a p-n junction. The extra electrons of the n-type can jump over to the p-type, creating a voltage across the junction. So with a photovoltaic cell, sunlight kicks electrons into the region where they are free to move through the silicon, and the voltage between the p-type and n-type layers causes them to flow, creating a current. This current can then be used to power anything from a pocket calculator to a comet lander. Solar cells are used on spacecraft because sunlight is plentiful in the inner solar system, and it is a way to maintain power without the limitations of fuel. The only big downside is if you don’t have access to sunlight, which is what happened in the case of Philae.